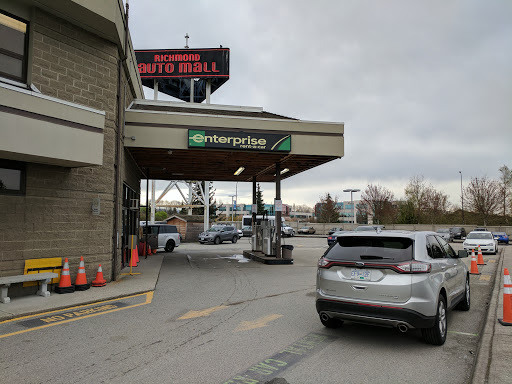 We had a booking for a car but enterprise was having a strange day and there were no cars available at time of pickup. Steven Xia helped us out and was amazing to deal with. He was going to drive us in his own vehicle and drop us off in downtown Vancouver to make our lunch appointment. Fortunately a car became available in a Richmond location and we were able to be on our way shortly. He was very apologetic and helpful in a situation he had no control over. Thanks for all your help! Had my car in for repairs for a week and was looking for car quick. Steven managed to make it work and even got an luxury rental available in time. Steven knows how to treat people great. Waited for service, waited for car... took me an hour.